When someone complains to us, we may become defensive and argue back if the complain is about us; or If the complaint is about something or someone else, we may jump straight to giving a solution or giving some sort of reassurance by saying things like ‘that is not so bad’ or sharing an experience which we think is worse than what the other person is going through in an effort to make his problem seem smaller. We do so because we failed to recognise the close connection between the other party’s mind and emotions. Our thoughts and emotions moves in a circle to reinforce each other. An external stimulus may trigger an angry thought causing anger to arise. The anger in turn triggers more angry thoughts which further reinforce our anger. Unless we break that cycle, the other person will get angrier and angrier. The cycle is even more difficult to break if the other person has suffered some loss such as the death of a loved one. Sometimes our consoling words leave the other person feeling worse because we failed to address his emotional issues. Giving advice is useless we are able to truly understand the other person’s problems. The other person must first feel understood before he can be receptive to our advice. It is only then that we have established an emphatic connection with him. If we do not make the effort to truly understand him, we may end up giving him a wrong advice. How do we address his emotions? We do so by listening attentively to his issues and try to describe his feelings and his needs which we think is not being fulfilled. Every negative emotion is a result of some unfulfilled desire or need. If we can indentify that unfulfilled desire or need, we can help the other party to clarify his thoughts and come to the solution himself. Sometimes, our role is to help the other person to gain clarity on the issues he is facing rather than to give advice. When describing the other person’s emotions, we should avoid words which implies some value judgment such as ‘you feel betrayed, cheated, taken for granted, unappreciated and so on’. It is best to stick to basic feelings: Angry, sad, disappointed etc. If we are the source of the complaint, getting defensive and arguing back will only aggravate the situation. If we focus our energies on trying to understand the other person, we will be less emotional. If we are able to express in words his feelings and unfulfilled need, he will feel that we have truly listened to him. Once the emphatic connection is established, the need to win the argument is removed and both parties can work towards a win-win situation. When we listen with full awareness, we allow his problems to flow through us to the Divine. All of us are Divine. By listening without judgment, we are allowing the Divine to help the other person at an emotional level. This is also how we help ourselves. When we are troubled, it is useful to just rest in our awareness and pay attention to the emotions within us instead of trying to ‘think’ how to solve the problem. By resting in awareness, we are surrendering our problems to the Divinity within and allowing the Divine to guide us. The solution provided by the Divine may not be what we expected or what we prayed for but if we look back a few months or years later, we can see that it was the best way that the problem could have been resolved. 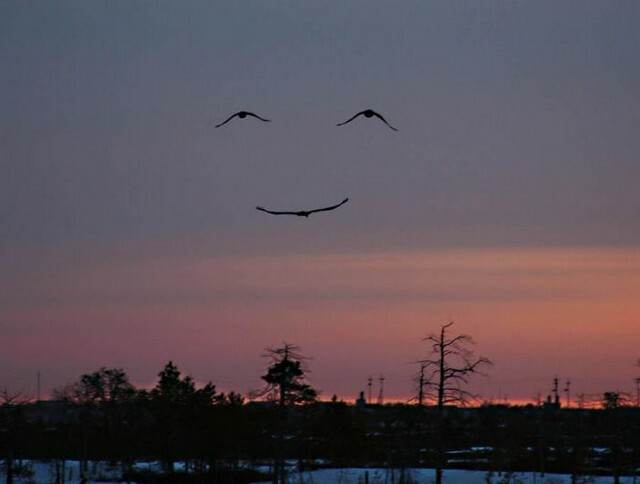 At that point, if we are conscious, we can even see God smiling at us lovingly.